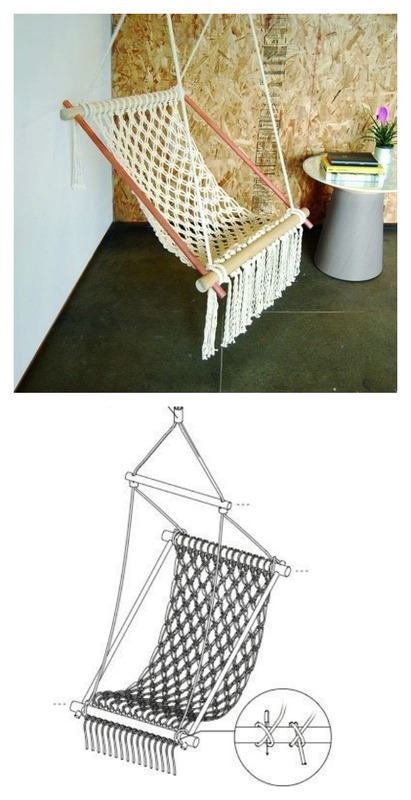 When it comes to DIY, hanging hammock chair is pretty simple and easy to try. To make it little challenging, you can macrame your hammock chair as it provides a unique look to the hammock. This DIY Hanging Macrame Chair is beautiful and elegant, which lasts for years to come. It complements any setting for cozy resting spot. There are many things you can do with it to make you feel good. 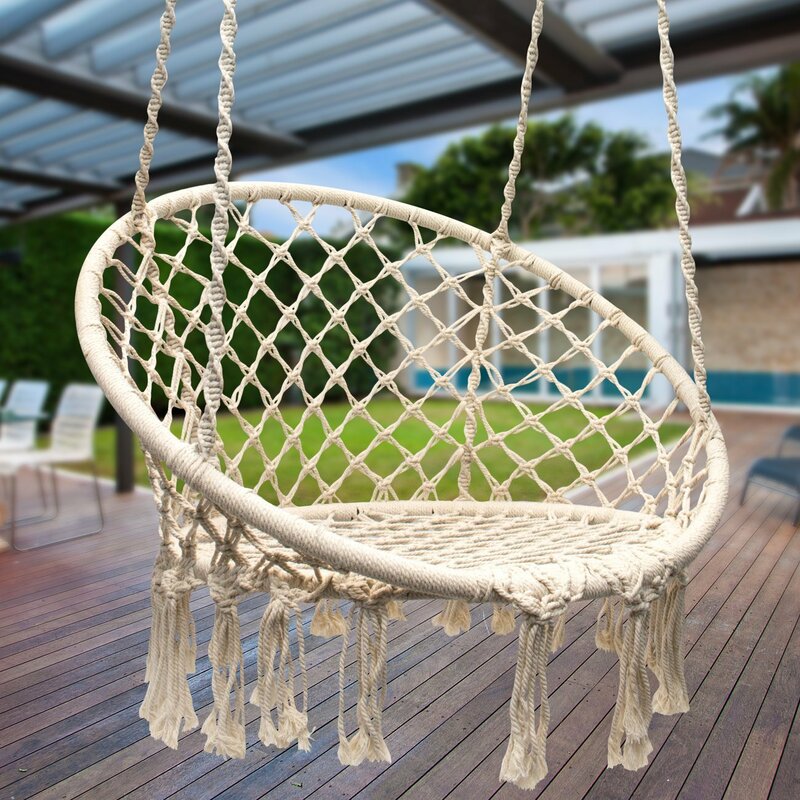 You can make a sweet snuggle swing to hang outside and enjoy nature, rest under the sunset, relax poolside, read a book or lounge on the deck. The project is wonderful for indoors too. Imagine how much your little girl would love a pink fluffy hanging chair in her room. Enjoy. You might also like How to Make a Beautiful Macrame Hammock Chair.